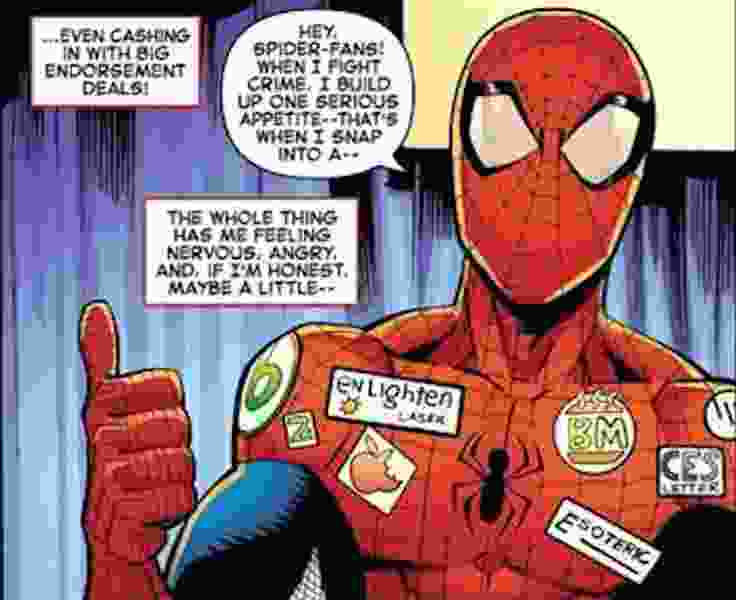 (Courtesy Marvel Comics) Spider-Man is seen sporting a CES Letter logo in the latest edition of the comic-book series. Marvel has removed what has been interpreted as an anti-Mormon “Easter egg” from the latest edition of the Spider-Man comic book series — although the Utah artist who drew it denies that he had anti-Mormon intentions. In the storyline, Spider-Man has been separated from his alter-ego, Peter Parker, and is acting in uncharacteristic ways. The book has been heavily criticized by others for what is interpreted as Runnels’ efforts to undermine the LDS Church. The CES Letter logo appears to be the only one in the original panel that represents a real product, although one closely resembles an Apple logo. A Reddit post reported to be from Ottley — deleted, but screenshot and posted on mormondialogue.org — reads, “I’m an exmo, just resigned this year. And I draw Amazing Spider-Man for Marvel. 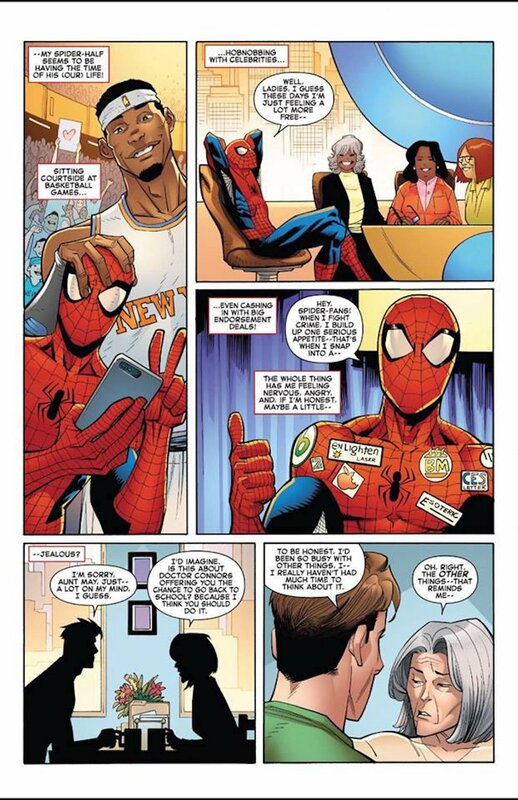 I threw in a little Easter egg in the issue that came out last week.” It’s accompanied by a photo of Spider-Man with the CES Letter logo. The Salt Lake Tribune reached out to Ottley for comment but has not yet heard back from him.